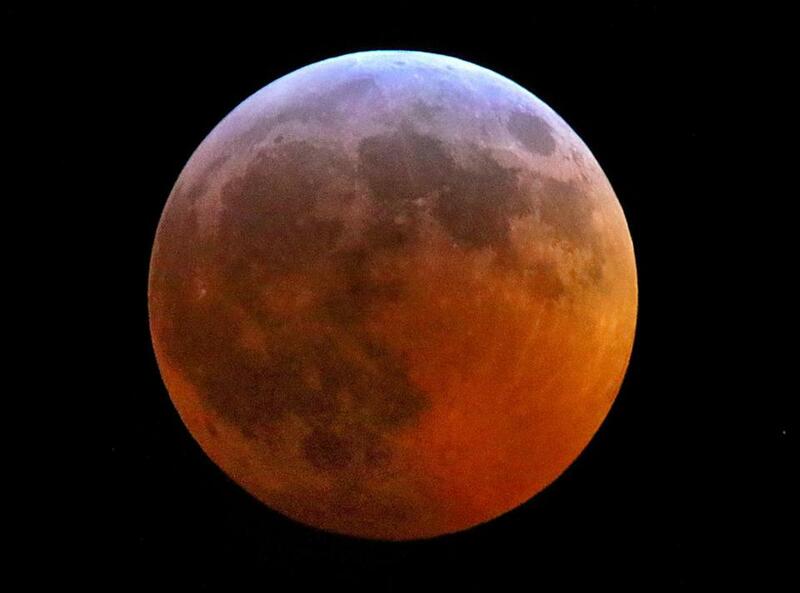 A super blood wolf moon was seen during the totality of its eclipse at 11:45 p.m. Sunday in the sky above Pembroke. On Sunday night, the moon, Earth, and sun lined up to create the eclipse, which was visible throughout North and South America, where skies were clear. There won’t be another until 2021.